Recognise is DJ Mag’s new monthly mix series, introducing artists we love that are bursting onto the global electronic music scene. This month, we speak to breakbeat assailant and Manchester junglist, Djinn. Bold and ferocious, but possessing infinitely eerie depths, Djinn's DJ sets and productions have become essential listening down in the brooding underbelly of drum & bass. The last decade and a half have seen her transform into a stalwart of the Northern scene, a regular at London’s revered Rupture club nights, and an increasingly sought-after name internationally, having previously toured the US and making her Australian debut in May with a four-date. Meanwhile, a mere handful of releases have earned her a permanent residency in the record box of any self-respecting junglist — her highly technical, yet wondrously freeform weapons proving devastating each and every. 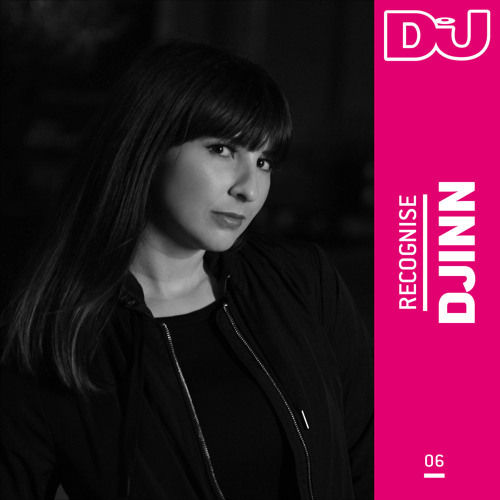 Listen to Djinn’s DJ Mag Recognise mix above, and check out the full interview on DJMag.com. this right here is drum and bass! insane beats! any chance for a download link? SO SIKK - ID anyone? Comment by RADO What's this? Does anyone know what this tune starting here at 15 is? Thanks in advance! this tune is rad, anyone know this tune? damn what a tune! what's this? @lynchkingsley: i knew i had NEVER heard that version. that's my friggin jam, too! love tha choon!